How ironic is it, major household systems always seem to fail at the most inconvenient times? The air conditioning system will go down, not in the mild days of June, but in the midst of a torturous July heat wave. The washing machine will spin it's last spin on a week when you've been so busy that you've let the family's laundry pile up for almost a week and the kids are giving you that look because they need clean clothes for school the next morning. Or the hot water heater warms it's last drop when everyone in the house, including guests, needs to bathe and you have a kitchen full of holiday dishes. In the grand scheme of household system catastrophes, it is my firm opinion that plumbing emergencies require a professional. While you can open windows, run fans and jump in the pool during a heat wave or ruefully run to the local laundromat in the event of washing machine failure, there is nothing more pressing than liquid flowing freely through your home in areas it was never meant to be. Likewise, a home simply needs running water, at the properly prescribed temperatures! Unless, of course, you happen to be a member of the Polar Bear Club. As you may have guessed, we recently had to replace our unit, water heater repair was not an option due the age. We knew it was coming. Busy schedules and a stretched budget prevented us from being proactive and replacing the unit before it was absolutely necessary. When the base rusted through to the point that water was pouring out of the heater, we knew we could wait no more. My husband, always wanting to solve our household dilemmas himself, suggested that he could certainly follow the enclosed directions and replace the heater himself, saving us time and money. If you fancy a warm shower or bath more than once per week, is best to leave the water heater installation to the professionals. As simple as the process may sound, the fittings on water heaters are quite particular. When you are at the end of day two of your husband's installation attempt, and tired of warming up dish washing water on the patio grill, you'll be wishing you had called a plumber from the get go. Even if your handy-ish husband manages to get the unit installed and functioning, you'll be requiring the careful eye of the local inspector, to approve the work. Sometimes its best not to have a professional evaluate your husband's "skills" in close detail. If you have a preference for not flooding your house with noxious gas, again it's best to call the plumber and let your husband enjoy the football game (or talk the plumber's ear off). Although I did find a "bubble gas leak" test online, its very disheartening to find the dish soap bubbling up around the water heater fittings. The fire department prefers you leave this sensitive work to the professionals, as well. Whether your plumbing issue is sump pump installation, need of a new water heater, or even frozen pipes, grant yourself time and money savings, as well as piece of mind and call a professional plumber! I am participating in a blogger campaign by Bucks2Blog and was compensated. The opinions above are both honest and my own. 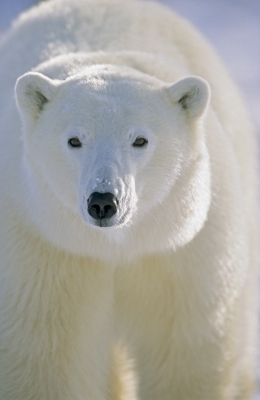 Polar Bear Image.